Grammy-nominated Joshua Nelson sings with a voice that recalls Mahalia Jackson and counts Oprah Winfrey and Maya Angelou among his biggest fans. He has sung with Wynton Marsalis, Aretha Franklin, and The Klezmatics. 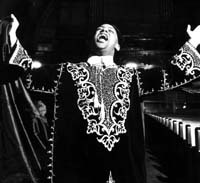 This extraordinary "Prince of Kosher Gospel" combines African-American spiritual styles with Jewish liturgical music. Special guests, the renowned, 55-voice Oakland Interfaith Gospel Choir, directed by Terrance Kelly, open the evening. 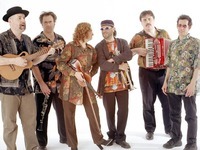 World Music/CRASHarts is also excited to present the Klezmatics with special guest Joshua Nelson in “Brother Moses Smote the Water” on Saturday, March 13th, 8pm at the Somerville Theatre, 55 Davis Square, Somerville. Tickets are $28. 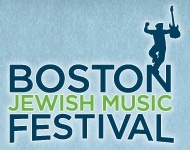 For tickets and information, call World Music/CRASHarts at 617.876.4275 or visit www.WorldMusic.org. The Grammy Award–winning Klezmatics and African-American Jewish gospel singer Joshua Nelson team up to create a vibrant, rousing live performance just in time for Passover. Brother Moses Smote the Water features age-old Hebrew Passover songs, Nelson’s own brand of “kosher gospel” and traditional Yiddish Klezmatics anthems. Saturday, October 6th, klezmer band Kugelplex and 55-member Oakland Interfaith Gospel choir will present the premiere performance of "Hungarian Gospel Suite," a collection of traditional American gospel songs set to original music inspired by Transylvanian Romany dance music. Written by Kugelplex's Dan Cantrell, accompanied by klezmer ensemble, and sung by the award-winning choir, the Suite brings together two ethnically diverse and geographically removed cultures in a unique blend of gospel and klezmer. A unique, multi-media/musical young adult Shabbat-with snacks, psirits and spirit-by one of today's top Jewish performers. Ten years ago the Afro-Semitic Experience recorded a CD, The Days of Awe, that is still one of our most popular and best selling. The rehearsals and the performances to get ready for those recording sessions helped to shape us as a band and it was really a watershed period for us. Most of the music on the album were arrangements based upon my transcriptions of cantorial pieces by the legendary Yossele Rosenblatt. We will be celebrating the 10th anniversary of that CD on Wednesday, September 17 with a performance at the Outer Space in Hamden, CT. We’ll play the music from that CD plus some music from our newest recording, Jazz Souls on Fire. That evening we will also celebrate the birthday of our percussionist, Abu Alvin Carter, Sr. who will turn 73 the very next day. Music begins at 7 pm and we’ll play till about 9 pm or so. There is no admission charge, but we will be passing the hat and selling CDs. Book of J Wednesday, December 17, 7:30pm Canessa Gallery 708 Montgomery Street San Francisco, CA $10-$15 sliding scale, buy here If you are interested in where old-time religion meets radical politics, Book of J is for you. We do songs that started life in Black and White religious communities and were later adopted by organizers for racial, economic and social justice. In the tradition of the Hebrew prophets, the songs ask for devotion and righteousness and offer power beyond what one still small voice can effect. Expect angels and demons, workers and bosses, hard times resolved and destiny fulfilled. Also singing along is good. Book of J is Jewlia and Jeremiah Lockwood (Sway Machinery). The Prince of Kosher Gospel returns to the JCC for another high-energy captivating performance. Joshua brings his extraordinary message of hope, unity and spirituality through Kosher gospel, a marriage of Jewish religious lyrics and meanings with the soulful sounds of American gospel music. For Joshua Nelson, kosher gospel is a way to claim both parts of his identity as a Black Jew. Kosher gospel has been able to retain the same musical cultures of Black African Muslims and Jews with that soul-inflected vocalizations which filled the Black Hebrew synagogue Joshua attended as a child with his family, observant Jews who traced their lineage back to Senegal. Come join us as we celebrate Yom Ha’atzmaut as a community.